Help your littlest learners develop a passion for creative writing early with Cut and Arrange Stories. 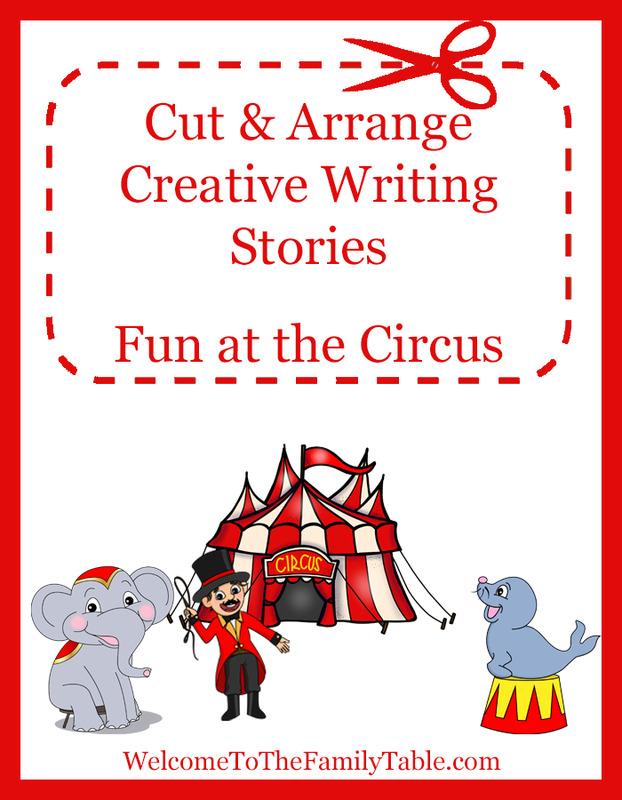 In “Fun at the Circus,” your child gets 10 pictures and 25 keywords that they can arrange and rearrange until their story sounds just the way they want it! They can glue the pictures into a book and write their story on notebooking pages (or dictate it to you to write). The goal is to be creative and have fun! Help your little ones surprise themselves – and maybe you – with what they can imagine! Looking for more cut + arrange creative writing stories? If so, click here. Bonnie Rose Hudson’s heart’s desire is for every child to feel the love of God and know how special they are to Him. She works as the Director of SchoolhouseTeachers.com, the curriculum site of The Old Schoolhouse Magazine®. She would love for you to explore the wonderful curriculum available there and to stop by her author’s blog WriteBonnieRose.com for resources to help teach your children about missions and the persecuted Church, free history and writing printables, discover how you can write for the homeschool market, and check out her newest release from JourneyForth, The Hidden Village, an early reader set in India.